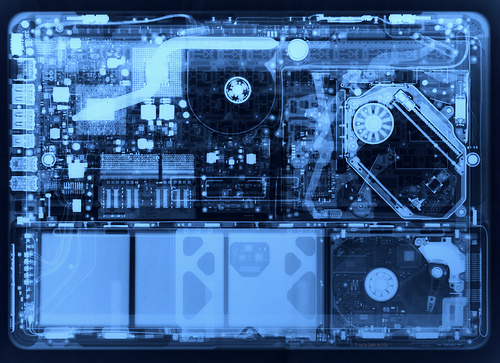 According to an article in NetworkWorld, over 12,000 laptops go missing in airports around the United States every week, with 1200 just at LAX. The thought of outright theft or some other sort of loss is quite unnerving. If you travel often there are several things you can do to mitigate the security risks. If you don't care about your privacy and would just pick up another laptop at Costco or Fry's if you lost it, you can skip this article. The first item is the backup. Everyone talks about it, but most of the time, people don't do it at all. There are several online backup services that allow you to securely (at least for personal data) backup over the internet using an automated client. At a minimum, make a dump of your data files to a thumb drive or DVD disk every month or so. If you can't afford to be without your data, you can't afford not backing up. The next issue is privacy. Who owns the data on your laptop? Do you have proprietary data that people would want to buy? Do you have embarrassing photos from your buddy's bachelor party saved on your laptop? Do you have personal information that could lead to your identity being stolen? If so, you should consider full disk encryption. While it does take some processor overhead, it is worth the extra processor cycles for your data's protection. Microsoft has their new Bitlocker technology in Windows 7 and Server 2008 R2, PGP has full disk encryption for the Mac and Windows, Checkpoint has full disk encryption for Mac, Windows and Linux in their Pointsec software, and there are also free open-source alternatives such as Trucrypt. These products render the data on your laptop useless to anyone who wishes to get the content off the machine. You may lose the monetary value of the laptop, but usually that is much easier to bear than losing millions of customer records or your unfiled patent application.